So, finally you have decided to buy an external hard disk for a specific purpose. Before buying this type of equipment you may want to ask the opinion of your friends and relatives. But have you ever thought, “is it worth it or not”? Because technology is increasing day-by-day, it may just be possible that they don’t have knowledge about each and every technological advance. So it’s better to do your research over the internet from authoritative computer sites. You can read about the items you are interested in and compare them with different manufacturers and with your desired specifications. The first and foremost important consideration is the Brand name of the hard drive. You want to buy one that you have already heard of and recognize as reputable. 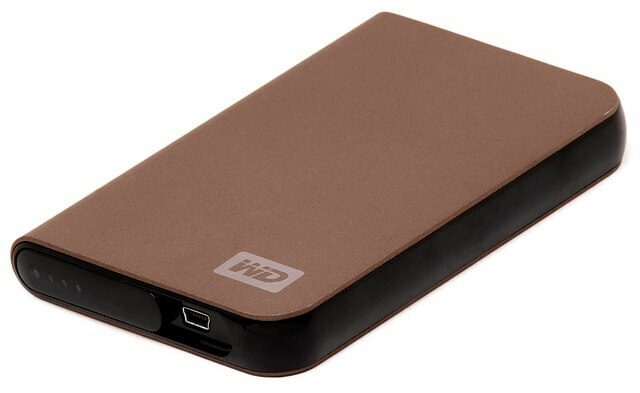 An External Hard Disk is not a small item that we buy once a week or even once per month. It’s a once in a long time purchase, so you would be wise to go with a brand name! There can be quite a price difference between a brand name manufacturer and other manufacturer product. But, if you go with a brand, there are additional benefits beyond quality, like they will provide you an extended warranty period, better services/replacement and even have 24 x 7 customer support. So, for a small increase in pricing, is it worth to take a risk on an unknown manufacturer? Interface is also known as connectivity, the means a hard drive uses to communicate with the computer. External Hard Disks comes with three solutions; these include USB, Fire wire and parallel. Now-a-days, the best option is Fire wire but it may not be supported by your computer. The majority of computers feature USB support and in that also most computers possess USB 2.0 interface with is minimum requirement but slower than USB 3.0, which is the latest in the market. So, although it is better to buy a Hard Disk having a USB 3.0 interface, you must also have the available connection for the drive to be connected to. In addition to the interface, you also have to look at the transfer rates of the external hard disk (drive). The faster your external hard drive operates, the faster data will transfer to your hard drive and vice versa. If your hard disk takes longer time to transfer large files, then it may slow down your computer. Before buying an external hard disk you have to consider some technical things. Seek Time: Needs to be 10ms (milliseconds) or less. When you are buying an external hard disk to carry your important data from one place to another or for some business purposes, the smaller the size, the easier it is to carry. If you choose an one that is bigger in size, then there won’t be much of a difference between the weight of the external and internal hard drive. Many external hard drives are available in the market with various sizes depending on your requirements. People buy external drives depending on their usage of data, but sometimes due to higher prices, they step back and purchase one with a smaller storage capacity. They don’t always consider the importance of this purchase, or how it may benefit them in 6 months or a year. But I would suggest, if your usage is high, then you should get the 300GB or more drive. If you could manage to arrange for a larger expenditure, you could afford 500GB and compared to the capacity increase, there is not much difference in price. Honestly, you’ll thank yourself within the first 90 days of buying your external hard disk. Now, I hope you are ready for purchasing your new external hard disk after reading all the above 5 points. Hopefully, this post (5 Points You Must Consider Before Buying External Hard Disk) will surely help you in making your next purchase. If you think I have forgotten to mention a point, drive my attention to it! If you have any problems or question, you can drop your comments below. If you have some unused hard disks at your home or your computer is not performing well and you need to get a new one, then you will want to find a service that is a pro at shredding hard drives. Don’t take any chances allowing your personal information to be discovered.